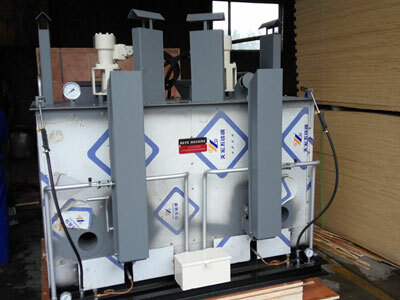 Double-cylinder Pre-heater, Road Making Paint Pre-heater for Sale. 1. Diesel engine drive stirrer, with gear pump, dual control valve, overflow valve and hydraulic motor. 2. 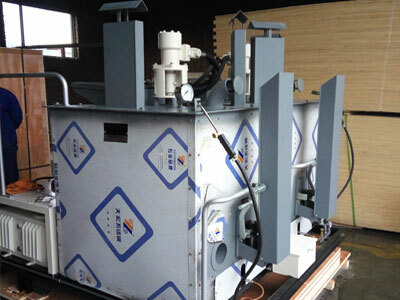 Hydraulic oil tank is designed with windows, hot-spreading slice and indication of oil temperature. 3. Liquefied petroleum gas, imported stove, energy-efficient burner (type I), saving fuel over 10%. Liquefied gas, imported stove, infrared heating system (type II), saving fuel by over 60%. Diesel injecting heating burner can save fuel by over 20% (type III). 4. Melting cylinder is made of special steel with scorch resistance, heating resistance and oxidation resistance, the bottom is stamp formed arc shape, equipped with the erect type multi-vane hydraulic stirrer inside, larger melting capacity, and better melting quality. 5. Each container is equipped with double imported conduction oil sensing thermometer with heating resistance and shock resistance, displaying more accurate temperature and easy to observe. 6. Single manual control valve controls stirrer in the cylinder to do positive and negative agitation. 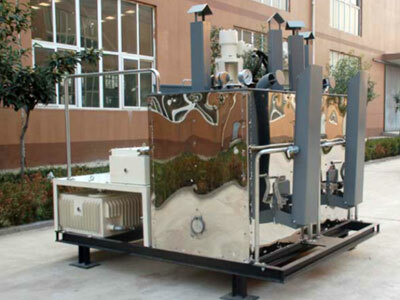 The patent anti-malicious and anti-irregular operation system can protect the machine from damage. 7. 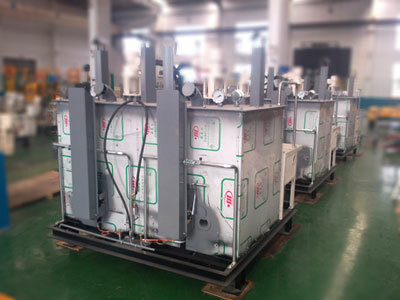 The conduction oil or high-tech filling heat preservation materials and multiple heat preservation system ensure much longer heating preservation time and consuming much less fuel, and efficiently melting. 8. Lockable discharge trough and the close intermeshing type discharge system ensure open and shut more secure, accurate and convenient. 9. Integrative welded structure with high strength and heating resistance. Outer covering is made of cold-rolled high strength steel with oxidation resistance and heating resistance. The pedal plate is made of anti-skid steel sheet. 10. Equipped with overload automatic protective device, fire extinguisher and lighting devices ensure the safety of the operator and equipment.